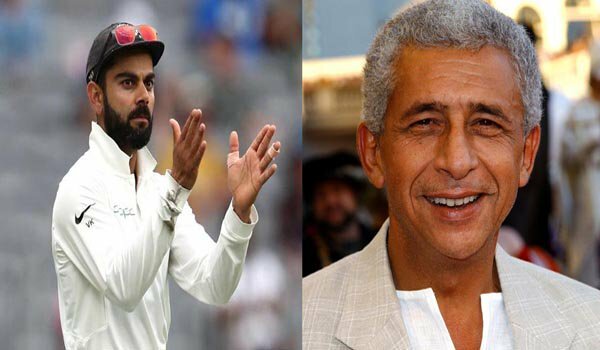 New Delhi: Actor and Director Naseeruddin Shah has been away from the films for a while, despite that, he is in the headlines for calling Indian skipper Virat Kohli the 'world's worst behaved player' on Monday. Recently at Perth Test cricket stadium, fans witnessed the ongoing aggression between Tim Paine and Virat Kohli in the second test between India and Australia. Though the argument started on Sunday, it continued on Monday, with the umpire having to step in.It seems that Shah, who watched the game closely, criticised the Indian skipper on Monday for his behaviour, which eventually got a lot of reactions. "Virat K is not only the world's best batsman but also the world's worst-behaved player. His cricketing brilliance pales beside his arrogance and bad manners.. And I have no intention of leaving the country by the way," Shah wrote in a Facebook post.